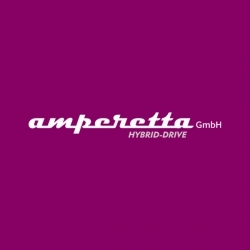 With a design philosophy that involves integrating proven automotive components to ensure reliability, and results in improved range, maneuverability, serviceability, and ease of installation, Amperetta designs and manufactures compact integrated parallel hybrid drive solutions for the marine market, based on the Volvo Penta D3 to D6 series engines (110-400hp). The company, which has secured the first build for a series of hybrid patrol boats based on the Volvo Penta D4-300 DPH series engine for an Italian government agency, will present examples of complete D3 and D4 hybrid drivetrain solutions in both inboard and sterndrive configurations. The hybrid systems are failsafe, meaning that if a hybrid system is switched off, the combustion engine can be independently started, ensuring safe operation. This is achieved via an integrated clutch within the hybrid module assembly. The Volvo Penta D4-300 DPH (sterndrive) hybrid solution will be presented for the first time at the expo.